The biggest night in music is almost here and no doubt the world will indeed be listening to find out who takes home the Grammys at this year's 55th awards ceremony. 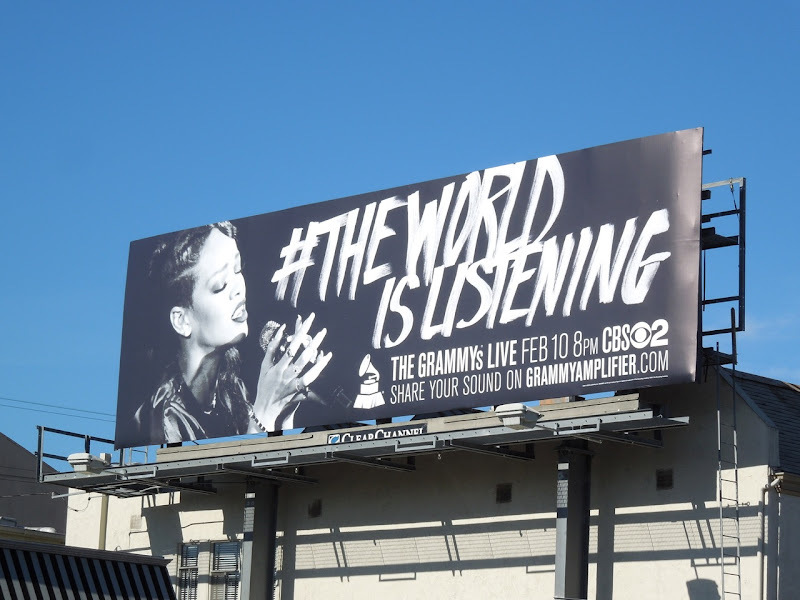 These cool mono out-of-home creatives for the televised event feature the likes of fan favourites Rihanna, Linkin Park and Taylor Swift. 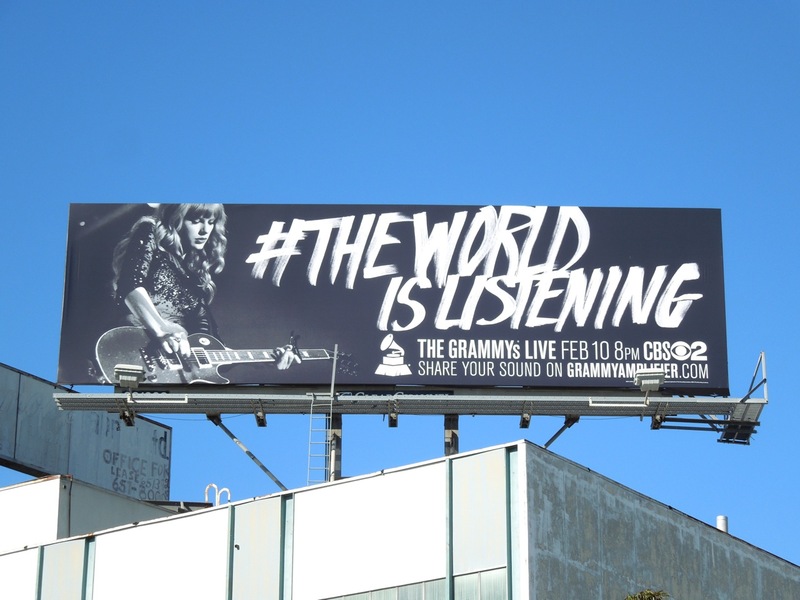 The Grammys are no doubt hoping to score big with their focused social media push with the hashtag featuring prominently on their billboards. 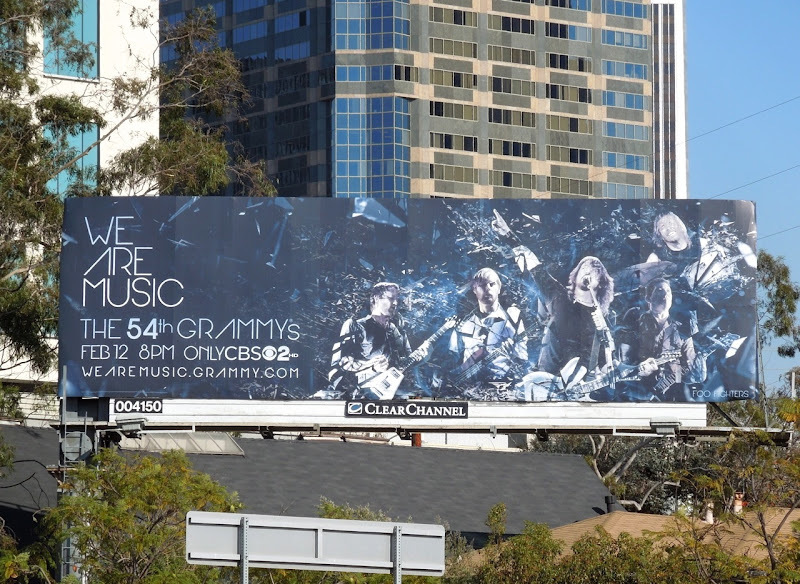 These stylish 55th Grammy Awards billboards were spotted along La Cienega Boulevard, Sunset Boulevard and Beverly Boulevard from January 15 to January 23, 2013. 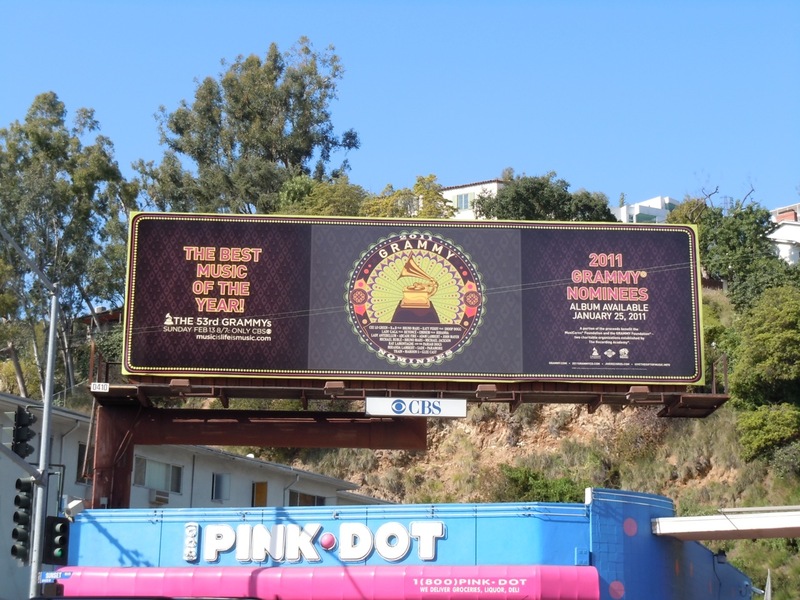 If you'd like to see how they marketed the awards in the past, take a look at these previous creatives from the last two years. 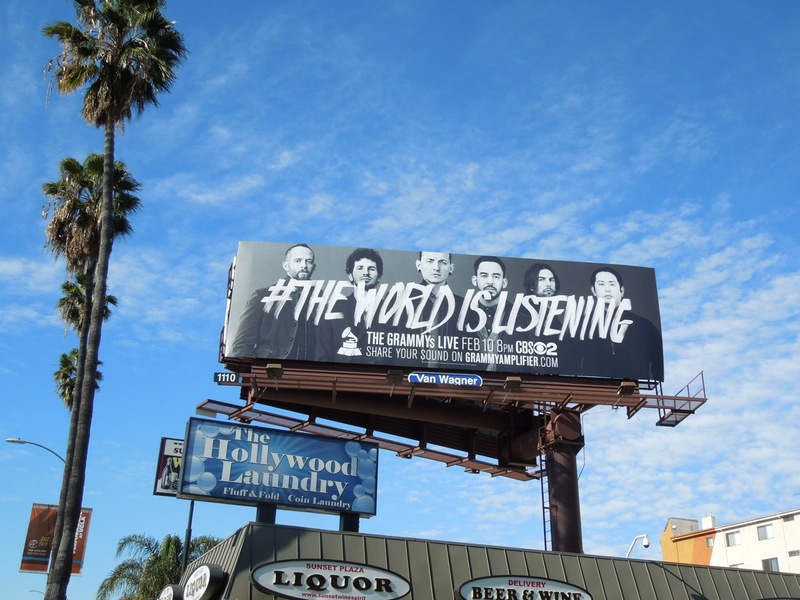 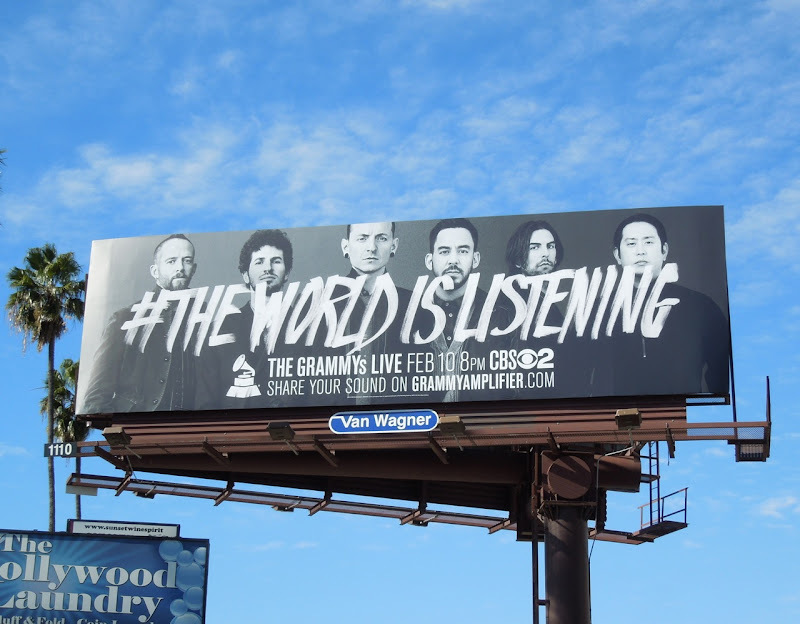 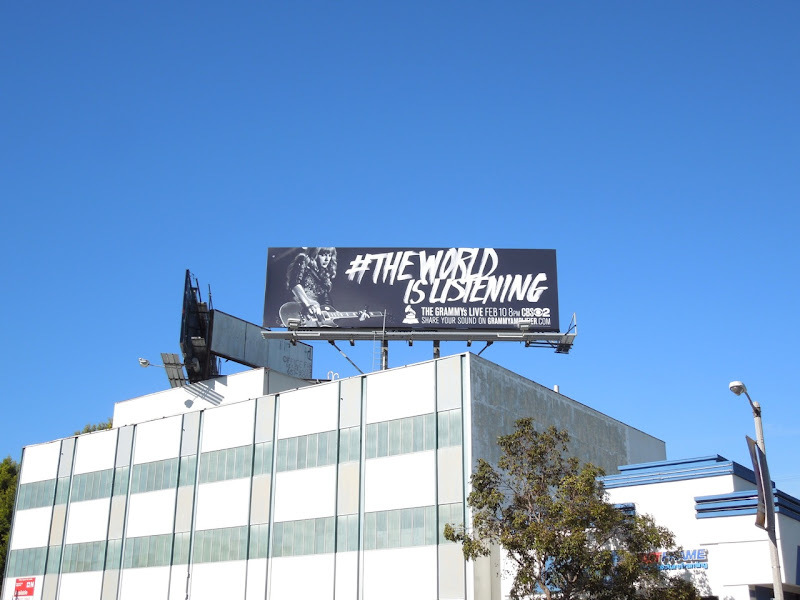 The billboards for the 54th Grammys featured artists like Paul McCartney, Bruno Mars, Adele and The Foo Fighters, like this one spotted along Santa Monica Boulevard on February 14, 2012. 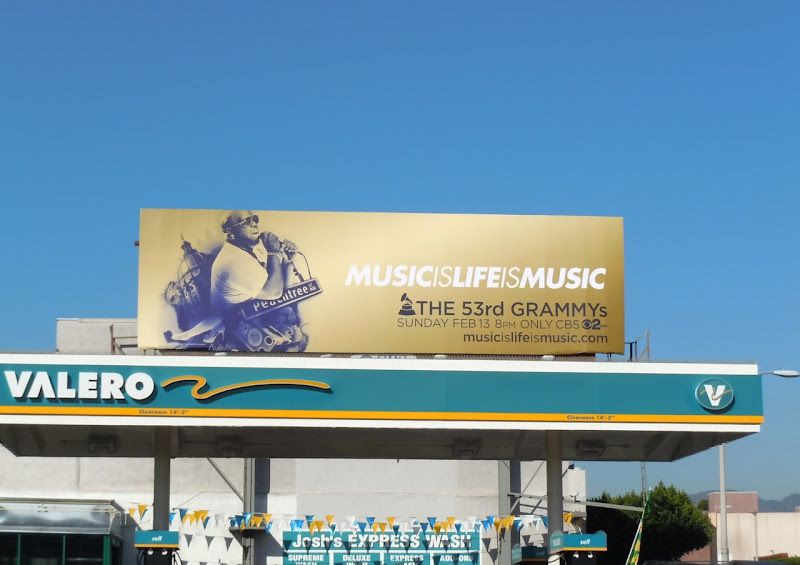 2011's 'Music is Life is Music' ad campaign featured recording artists like Cee Lo Green, Katy Perry and Eminem on billboards and posters around the streets of L.A. 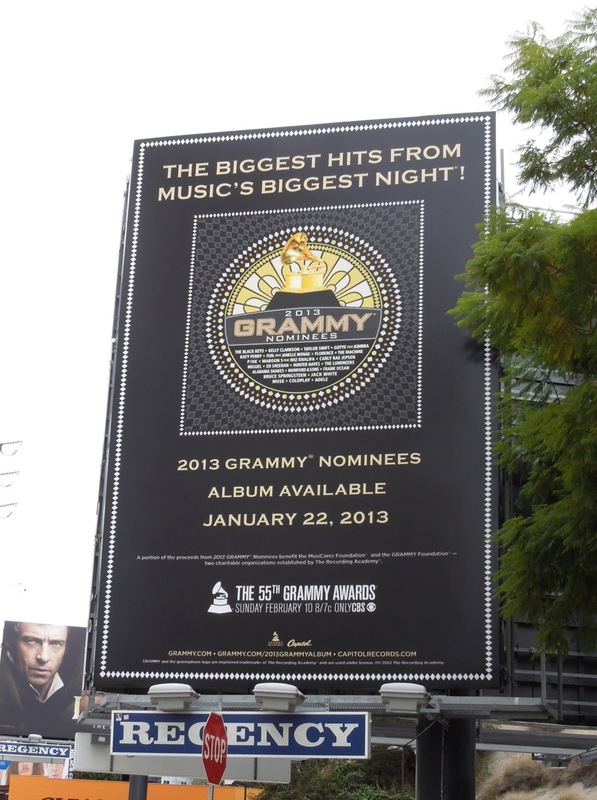 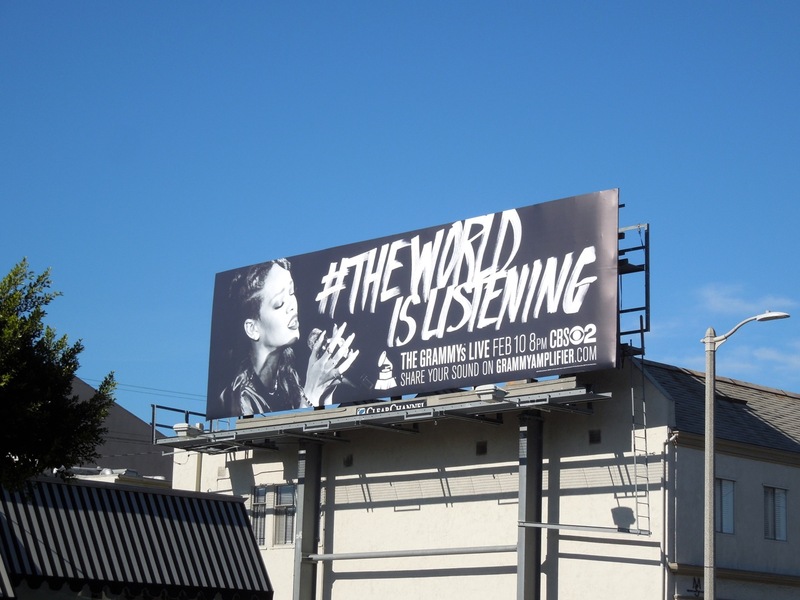 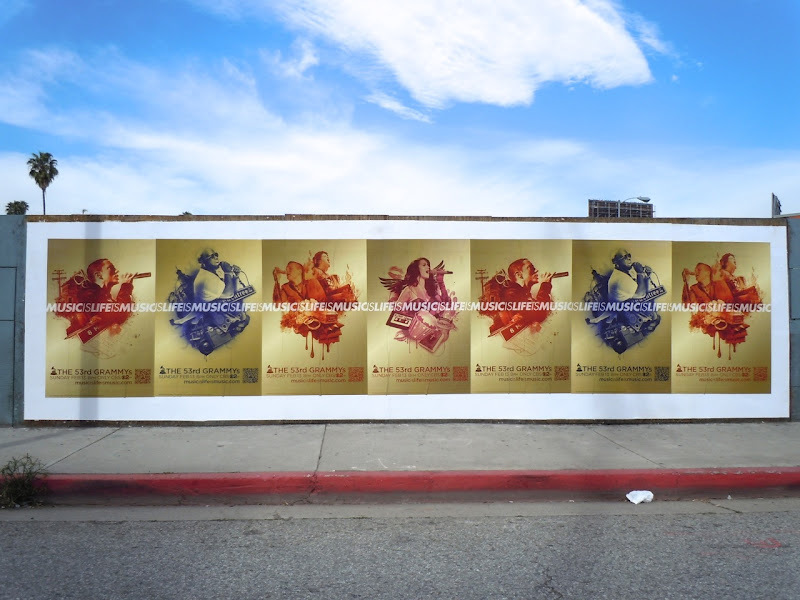 These ads for the 53rd annual Grammys were snapped along Sunset Boulevard, La Brea Avenue and Beverly Boulevard in January and February 2011.